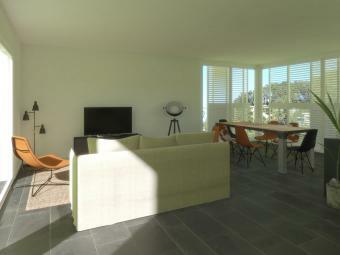 Three-storey apartment for rent on the beach of Sa Riera, 5 minutes drive from the center of Begur, Costa Brava. 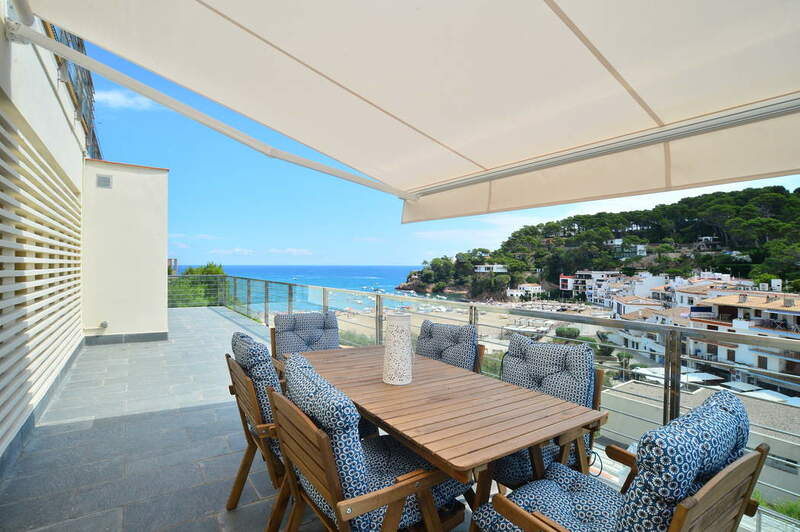 The apartment has three floors: on the main floor there is a living-dining room with access to a terrace with views on the beach of Sa Riera, a bathroom and a fully equipped kitchen. On the upper floor there is a bedroom with a sofa and exit to a large terrace with a small pool (180X470) and without depth(60cm). On the grown floor there are three double bedrooms (one is a suite with bath with tub) and a bathroom. Small garden at the entrance of the apartment. It has two parking spaces, one closed and the other outside. You have to go down stairs to access the beach.